Monty recently made history in 2016 by directing and co-producing YouTube’s very first Live 360 performance and specializes in film / commercial / music video / VR + interactive content production. Monty Marsh had every intention of pursuing a career on Wall Street after receiving an Economics degree from the University of North Carolina at Chapel Hill, but at the eleventh hour he decided to instead pursue a career in the entertainment industry. He spent the following years in front of the camera, as a model and actor, before joining Cinemedia Film AG’s North American Film Finance Division. While at Cinemedia, Monty was required to research, forecast, and present film financing opportunities to the Executive Team. His experience with Cinemedia taught him the value of ‘story’, and he discovered that his true passion was being behind the camera. 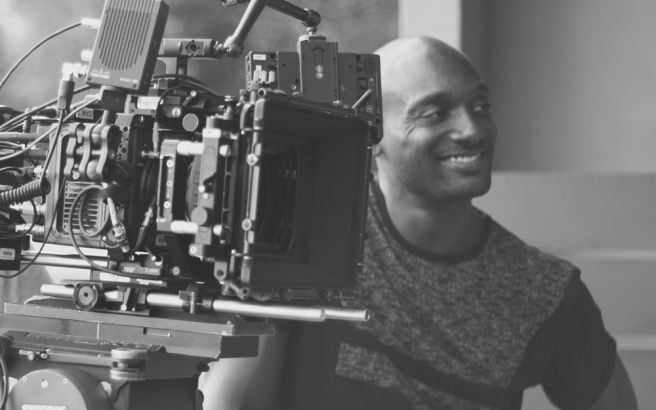 Since then, he has worked in every facet of production including being a member of the esteemed Local 399 Teamsters Union (Location Scout / Manager). – His short film, ‘Journey Home, a story about Monty’s personal journey to the Slave Coast of Benin, West Africa is an Official Selection of the 2010 LA Shorts Fest. ‘Journey Home’ is also an Official Selection and Best Short Documentary Award Nominee of the 2011 Fallbrook Film Festival, fulfilling the scoring criterion of excellence in storytelling, technical execution and meaningful purpose. – Monty made history in 2016 by directing and co-producing YouTube’s first live 360 performance in collaboration with The Verge and Indy Pop Star DΔWN. – Monty is 1 of 10 directors chosen internationally to participate in Motionpoems’ Season 8 (2017): ‘Dear Mr. President’. The film is currently in post production. Always ahead of the curve, Monty took an interest in social media and digital marketing several years ago and has continuously educated himself on emerging technology, industry trends and evolving strategies surrounding audience engagement. He has completed a digital marketing certification program at General Assembly, and as an entrepreneur with an affinity for entrepreneurs, Monty regularly focuses on the most relevant skills of the 21st Century.